The Central Bank of the Republic of Turkey's (CBRT) Monetary Policy Committee (MPC) ramped up interest rates for the second time in two weeks Thursday as it hiked its policy rate, also known as one-week repo auction rate, by 125 basis points. The bank's move is designed to tamp down inflation and stabilize the Turkish lira, while also sending a strong message to markets about its future policies whereby it will take necessary measures to control inflation and declining lira. The MPC has decided to increase the policy rate from 16.5 percent to 17.75 percent, the statement by the CBRT said. The Turkish lira rallied and gained nearly 2 percent against the U.S. dollar to 4.45 following the announcement from 4.58 before the meeting, while the dollar-denominated bonds and stock market also rallied. The lira also gained around 1.34 percent against the euro and stands at 5.29. The bank said recently released data indicate a rebalancing trend in economic activity, adding that external demand maintains its strength, while domestic demand displays a more moderate course. The CBRT has raised interest rates by 500 basis points since April 25. With today's move, the interest rate increase carried out by the bank since the beginning of 2017 has reached 950 basis points. It has now hiked rates by 4.25 percentage points in just over two weeks, following a 3 percentage point increase at an emergency meeting last month. 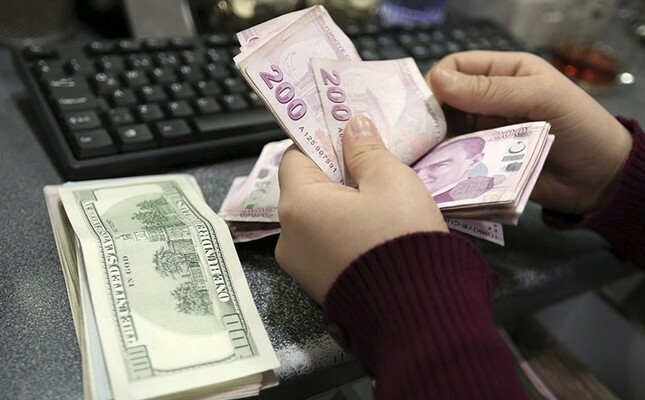 Thursday's decision came after the central bank hiked its late liquidity window rate by 300 basis points to 16.5 from 13.5 percent on May 23 after an extraordinary meeting in order to stem the slide in the Turkish lira, which fell to 4.93 against the dollar on the same day. It described the move as a "powerful monetary tightening" policy and said it's ready to continue using all instruments. The government has recently reiterated Turkey's commitment to follow free market rules and institutions and emphasized that the country will abide by global governance principles on monetary policy, reassuring markets and investors. It also showed the full support for bank's recent decision to hike interest rates to support Turkish lira with which the bank had shown its independence. Moreover, the decision also came just days after the country's national statistical body announced that consumer prices rose 12.15 percent in May, year-on-year. The Turkish Statistical Institute (TurkStat) said on Monday that the May figure was up from 10.85 percent in April. "Cost factors have been the main driver of the recent upsurge in inflation. On the other hand, price increases have shown a generalized pattern across subsectors. Despite the mild outlook for demand conditions, elevated levels of inflation and inflation expectations continue to pose risks on the pricing behavior. Accordingly, the committee decided to further strengthen the monetary tightening to support price stability," the central bank said in a post-meeting statement Thursday. It also said it will continue to use all available instruments in pursuit of the price stability objective. "A tight stance in monetary policy will be maintained decisively until inflation outlook displays a significant improvement. Inflation expectations, pricing behavior and other factors affecting inflation will be closely monitored and, if needed, further monetary tightening will be delivered," it added. Earlier this month, the central bank introduced a simplification in its monetary policy, which was welcomed by investors. It named the one-week repo rate as the bank's main policy rate. The late liquidity window rate was previously used as the main policy rate. Deputy Prime Minister Mehmet Şimşek, who is in charge of the economy, and CBRT Governor Murat Çetinkaya conveyed strong messages during the 13 hours of meetings held last week at the London office of Bank of America Merrill Lynch. Top economic officials met more than 100 investors in London and emphasized Turkey's determination to rebalance the economy, reduce inflation and current account deficit, and the country's openness to business. Even though there was an expectation that the bank would hike its one-week repo rate, economists did not predict a high increase of 125 basis points. The overall expectation of the economists was that there would be an increase of 50 and 100 basis points. They pointed out that higher May inflation and the tendency spread across the subcategories of the price increase have pushed the central bank toward a more cautious stance. Elaborating on the decision, Şimşek said the policy set will continue to be strengthened, indicating that inflation and the current account deficit will enter a downward trend in the second half of the year. "We are reinforcing our economy's resistance to shocks through structural reforms," Şimşek said over his social media account. "Foreign demand will continue to strongly support the growth." "In our mind, raising interest rates by 125 basis points is a strong hawkish signal that the central bank is fully committed to regain control over inflation by trying to stabilize the lira," Piotr Matys, emerging markets forex strategist at Rabobank, told Reuters. İş Portföy chief economist Nilüfer Sezgin said that the increase of 300 bps in the CBRT's interim meeting, the simplification step and tightening above the current market expectation have shown its commitment and consistency on credibility gains. Commenting on the data, QNB Finansinvest chief economist Burak Kanlı said the decision will have a positive effect on the lira, stock market, and long-term bond yields. "We can see a more positive performance in the lira than in the currencies of other developing countries in the coming period," said Kanlı. He also said that the CBRT did not make such a decisive move in order to stop the deterioration in inflation outlook in a very long time. "While only two weeks have passed since the 300 basis points increase, the decisive rate hike of the central bank aims to shock the markets. Because for the institution of a new balance, destruction of long-term trends is necessary. The widespread belief that the central bank refrains from rate hikes will no longer prevail," Kanlı added. Timothy Ash, senior emerging markets sovereign strategist at BlueBay Asset Management, told Agence France-Presse (AFP) that the decision "should help improve sentiment, and stabilize the market a bit into the elections". Halk Investment research director Banu Kıvci Tokalı stated that the main factor in the strengthening of the monetary tightening are the high levels of inflation, inflation expectations and the risks that it creates in pricing behavior.